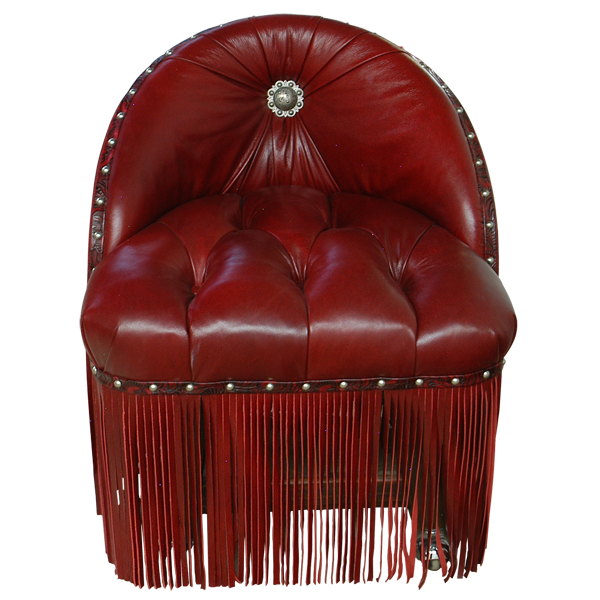 This elegant and chic handcrafted chair will bring a touch of glamour to your living room. 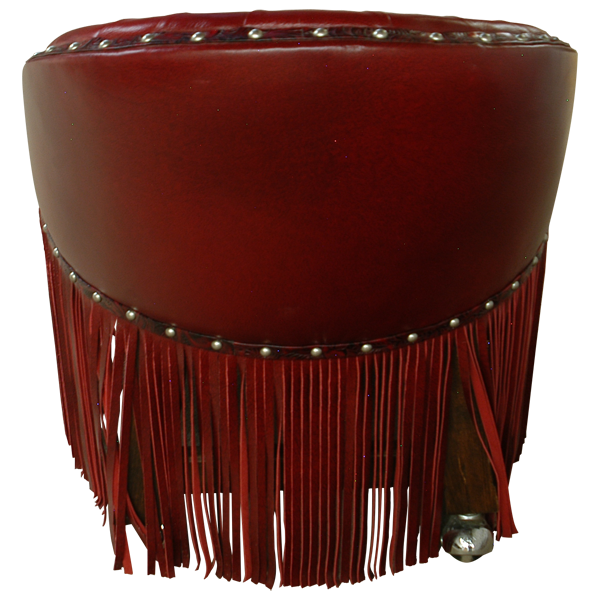 The seat of this custom chair has a button tuft design, and the center of the seat back is embellished with a silver finished concho. 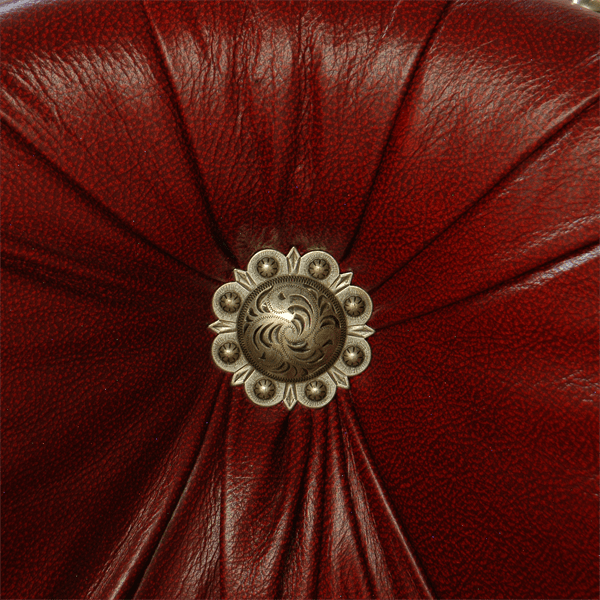 The base of the chair and the curved seat back are adorned with silver finished, decorative nails. 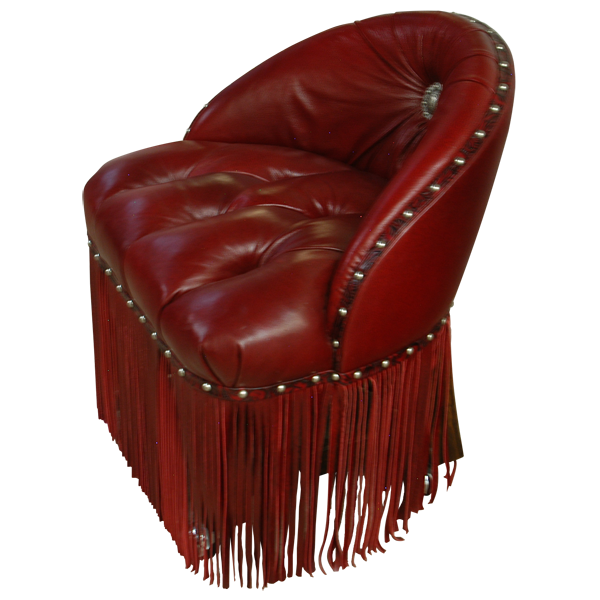 Upholstered in brilliant, red colored, full grain leather, the base of this chair is adorned with a matching, long, red fringe skirt. This custom chair rest on caster wheels for mobility. Both beautiful and durable, the frame of this chair is made with the best, sustainable, solid wood available. It is 100% customizable.